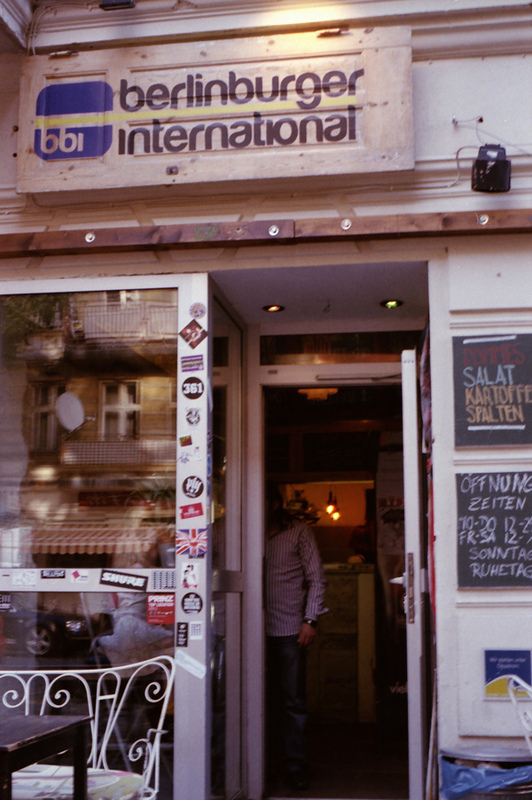 it’s this tiny place in the corner of sonnenallee with pannierstr. you order on the counter and wait for them to howl your name while trying to secure a place in the few biergarten tables outside on the sidewalk. your eyes wander hungrily up and down the table, to the neighbour’s plates. these are grown-up burgers, they slip from their hands and squirt ketchup everywhere as they try to eat them, an inevitable mess in the making. you smile in anticipation and wait some more while you watch the passers-by and briefly consider moving to this street. there’s that croissant place, the cakes place, the paleo place, the turkish market around the corner… pretty neat street, not bad at all. you’re pulled out of your reverie when a strange sounding version of your name is shouted from inside. a few heads turn, eyebrows knitted. was it their name? nah, you’ve been here long enough, it’s probably yours. so you stride in, grab the bounty and plenty of napkins. just look, aren’t they a beauty? 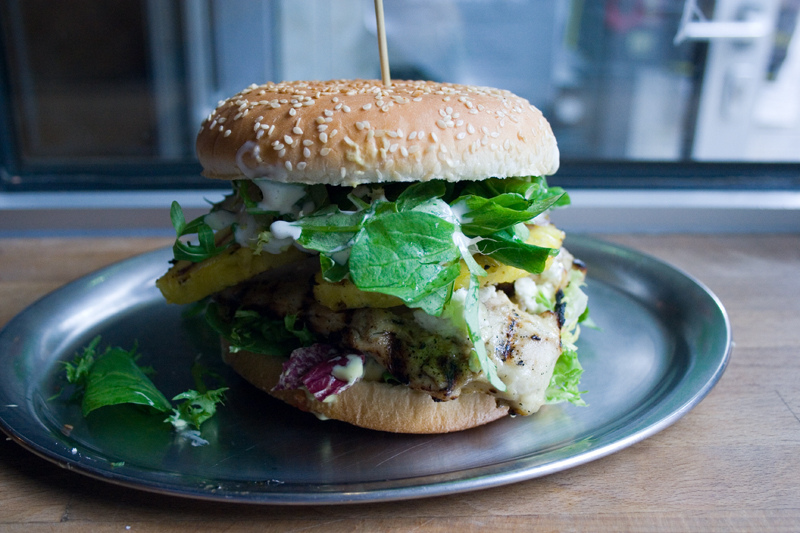 so you pull back your sleeves, press the bun into the burger with both hands, close your eyes and dig in. every bite is like a blast of flavours in your mouth. the veggies, the meat, the sauces. it’s… really intense, and you’re torn between enjoying it slowly or inhaling it with superhuman speed. after the first couple of times you’ve learned to drop the fries and soda… tempting as they might be, your taste buds can’t handle that much stimulation in a meal. 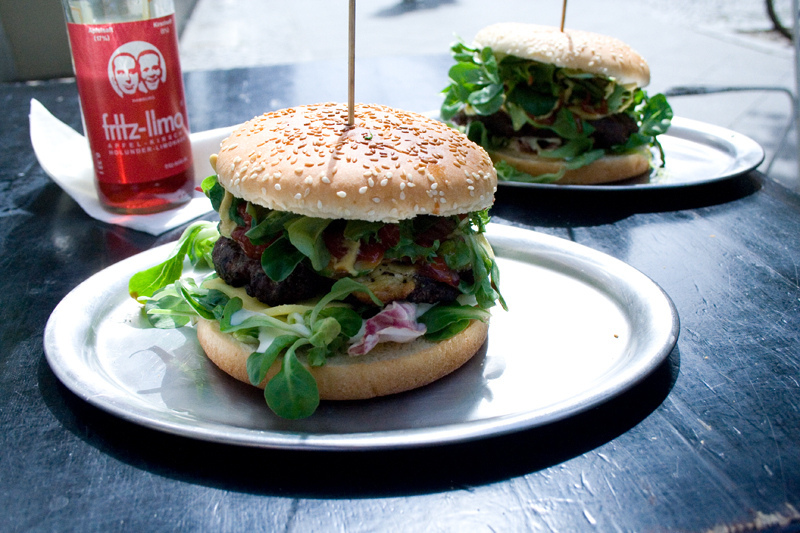 just the burger is just right, and it ends all too quickly. now where did you put those napkins? que fomeca, que bom aspecto! pronto…. agora estou toda babada! !